Unfortunately I wasn’t lucky enough to get a golden ticket this year to Apple’s WWDC, but as always I will be watching as many of the sessions as I can throughout the week. Unfortunately I wasn’t lucky enough to get a golden ticket this year to Apple’s WWDC, but as always I will be watching as many of the sessions as I can throughout the week. As with every year I have high expectations of Apple’s Developer Conference. not only to see what new technology they will announcing but also learning how to code for that new technology. Apple are always cryptic with their messages but this year I’m hopeful that we will finally see the HomeKit integration finally come to fruition. It was demoed at last years WWDC but so far it’s been delayed as speculated by Mac Rumours. I do however believe that it will work seamlessly alongside the eagerly anticipated upgrade to the Apple TV. Ever since the current version had a price drop the speculation has been rife. I think the message ‘The epicentre of change’ on Apple’s WWDC invitation is an insight to Apple’s plans to bring home automation into the home starting with HomeKit via the Apple TV. I personally have been waiting for this for some time. I feel both the Apple TV & HomeKit are crucial to Apple’s future in our homes. If everything can be controlled by the Apple TV using the HomeKit technology Apple will have cracked it in my opinion. 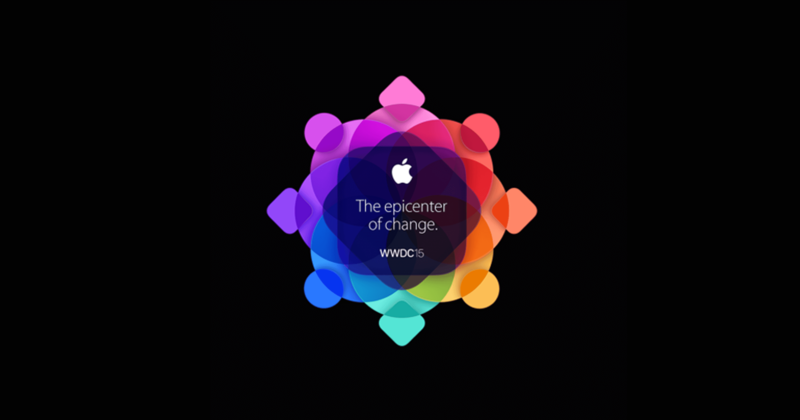 I may be way off here, but I do believe the Apple TV will become ‘The epicentre of change’. If the rumours are true that the Apple remote is also undergoing a huge design overhaul, I believe that that is where we will control the home, not just the TV with films, music & possibly a new television service, but the entire home ecosystem. It makes sense to have every appliance within the home connect to the Apple TV, whether that be lights, heating, locks or air conditioning. That way everything can be controlled & pre-set via the largest screen in the house. It makes so much more sense to have everything controlled by one system rather than having multiple programmable sources scattered around the house. I also feel that the Apple Watch was a small pawn in the home automation, I am hoping that we will see a bunch of new features that interact with the Apple TV, detecting users who enter the room, setting their preferences, TV channels, favourite films, adjusting lighting & temperature. I realise there are other huge benefits for the TV too, and having a subscription-based service or on demand music & films are a big draw for me along with it’s own App store and especially games which we could soon be playing on the big screen. I have read multiple articles based on how this new subscription service will be a game changer. I don’t doubt that one bit. However, I am personally more excited about how the Apple TV should serve as a hub that connects all devices from the iPhone to Apple Watch and automates the home. We’ve talked about it for years and yes there are many solutions out there already. But Apple’s version could be a game change, bringing it to the masses. This all could be a Jetsons pipe dream, we’ll have to wait and see on June 8th. But I am fairly confident this will be the first step to that dream.